Want to know what all the fuss is about franking credits? You’re not alone. Until recently, they weren’t a highly publicised financial option, with many Australians still in the dark about what franking credits actually are. Read on to find out. To fully grasp the idea of franking credits, we need to go back to the 1980s. In those days, an ASX listed company would pay tax on their profits just like every other business, but when the profits were distributed to shareholders as dividends, they were taxed again. The result? The ATO’s double-dipping meant that if $100 of company profit was paid out as a dividend, the ATO would take 73 percent! And it did. In 1987 the Hawke/Keating government introduced franked dividends, which meant that the tax paid on a dividend income stream would take into consideration the tax already paid by that company. This meant that the highest amount that can be taxed is equal to the top marginal tax bracket. Essentially, no more double-dipping. Further reform came in 2000, when shareholders could receive a refund of the company tax paid if their personal tax rate was lower than that of the company. That’s right, even if someone paid zero tax, they could claim a tax refund on their franking credits. This was groundbreaking, as Australia was (and still remains) the only country in the OECD to offer refunds to shareholders for excess franking credits. It also incentivised self-funded retirees in particular, who saw that they could get additional benefits for investing in fully franked shares. Take Linda for example. As a retiree Linda has no other taxable income except for the 20,000 shares she’s invested in an ASX-listed company. The company declares a dividend of $0.56 per share, fully franked. Linda receives $11,200 in cash and $4,800 in “franking credits”. When it comes time for Linda to do her tax return, she declares $16,000 of income (the cash and credits combined). Since this is her only income, her tax rate is 0%. Linda will get a refund of $4,800 from the ATO. Why are franking credits popular? Anyone ‘in the know’ about franking credits understands they’re an opportunity to create another income stream. Due to the falling cash rate, other popular options like term deposits haven’t offered the same rate of return, leaving people – self-funded retirees in particular – looking for an alternative. Enter fully-franked dividend shares. Can franking credits help you? Franking credits can be an opportunity for an additional income stream, but it depends on your financial situation. For self-funded retirees, if your taxable income is less than the company’s then you could be eligible to get a refund, however, there are some benefits if you’re an income earner, too. This includes helping to offset some of your tax – especially if you borrowing money to invest. Here’s why: when you borrow funds to invest, the interest on your loan becomes tax deductible. In many instances this cancels out the tax you pay on the cash portion of your dividend. But, if you have franking credits, you can then use these to offset your personal income tax. That said, don’t make these possible bonuses the reason for investing. Choose your investments wisely and, if possible, seek help from an independent financial advisor before embarking on many major financial decisions. Well, nothing really. Franking credits are in the news as they’ve become a political firecracker. Whether they’re right or not is a matter of politics, but what’s landed franking credits in the spotlight is that the Opposition Party wants to restrict the amendments made in 2000 that allow the refund of franking credits to shareholders. This proposed policy was countered by the government issuing an inquiry into Labor’s proposal – a rare move in Australian politics. Right now, these proposed changes are a long way off, so don’t panic. But if they were to come to fruition, it’s self-funded retirees who already have fully franked dividends in their share portfolio that will be most affected. For this group, they rely on this income stream and taking it away will impact them greatly. 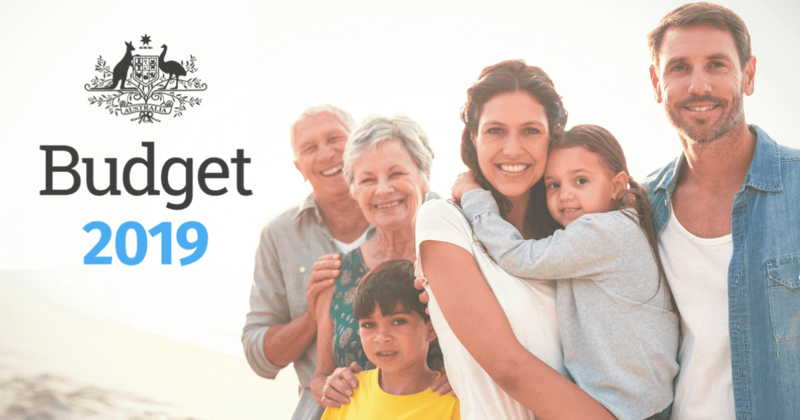 For example, any Self-Managed Superannuation Fund (SMSF) investors in the pension phase, who have shares in NAB, are currently receiving a return of 7.3%, fully franked. If you receive a full refund of the franking credit, this increases the cash return to around 11.2% – that’s a big difference in dollars. If you fall into that category and currently have fully franked shares in your portfolio, it’s important to put some plans in place in case this goes ahead. But remember, in order for all this to go ahead Labour will have to win the next Federal election and have the changes pass both houses of parliament, so there’s plenty of time to get expert help and not make any knee-jerk reactions. If you’re unsure speak to an independent financial advisor about your options now, rather than wait until it’s too late. We can help you to understand your options and keep on top of all the changes, when or if, they come to light.